Luckily I only got shot twice – once in the shin whilst leaping for cover, and the second time in the leg muscle from my own damn team mate! lol – He wasn’t looking where he was aiming. I very nearly got shot in the back of the head by another team mate as well – there’s enough friendly fire to get yourself into the american armed forces! We were up to out knees in thick mud and water and it hammered down with rain, but it was a brilliant experience 🙂 I think I’ll be needing some new trainers for work next week as they were pretty much consumed by the mud. I’ll get some cheap ones later on in the week. 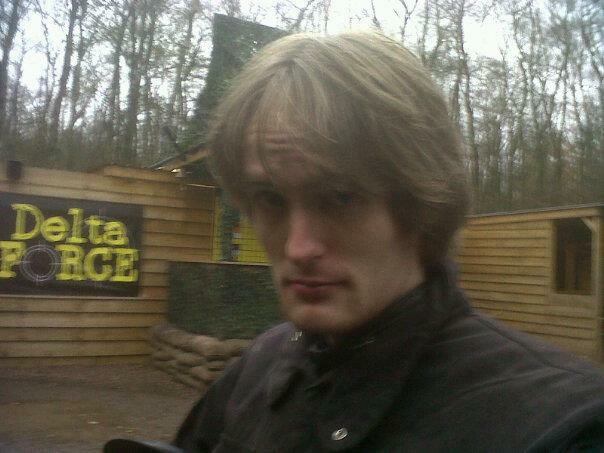 The guys at Delta Force (Cardiff) were very strict on the do’s and don’t’s of the game. 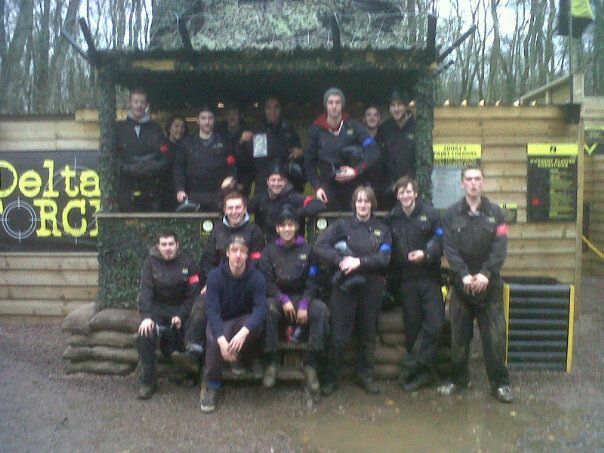 We werent allowd to take our helmets off until we’d all returned our guns and got back to the safety zone in the centre. One of us took their helmet off after a game had finished (outside the safety zone) and immediately got a bollocking for it. At first we thought this was harsh and rediculous, but then we were explained that the guns can still go off, and that 5 people in Britain have died from an accidental pain ball to the face – these paint balls leave you bruised and stung, even from a far distance, so at point blank range you’re likely to be dead or crying like a baby. So its been a really great day. I’d love to go back sometime. I can now finally cross Paint balling off my list of things to do in life.